Portugal should be on top of any wine lover's list. 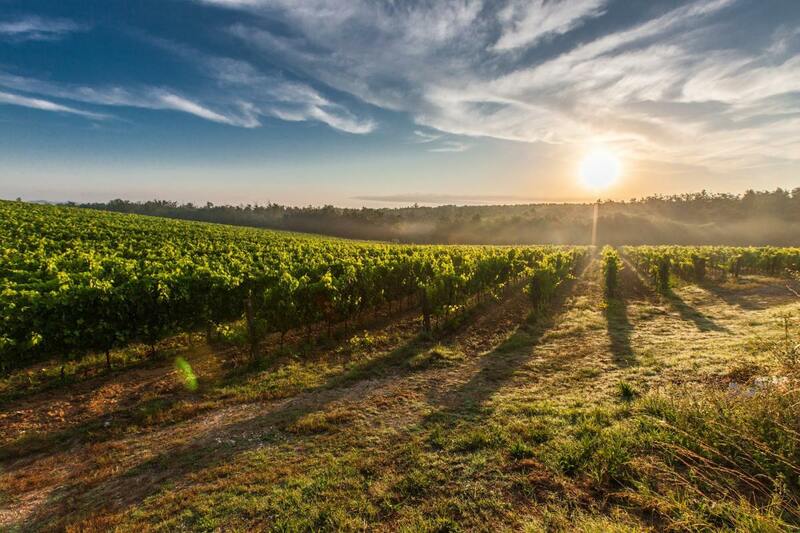 The country has some of the best and most charming traditional wineries where native grape varieties are still hand picked and are foot-trodden in the old-fashioned way. The country is one of the most renowned producers of wine in the world, a reputation built on tradition - with unique wine such as the fortified wine of Port and Madeira, and exceptional table wines. 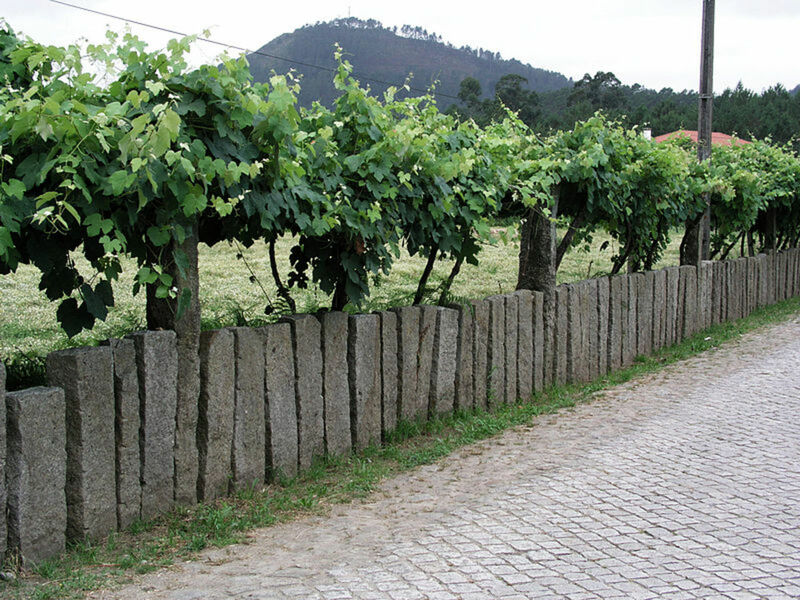 There are over 1 million acres (400,000 hectares) of vines in the country of distinct variations of grapes depending on the region since the climate and soil type really varies from the cool North region where "green wine" is produced, down to the Southern Alentejo region influenced by the hot and dry climate. Distinct varieties of grapes come from the regions of Alentejo, the Algarve, Beira, Dão, Douro, Minho, Montes, Ribatejo, Setúbal, Tejo, and Trás-os-Montes. 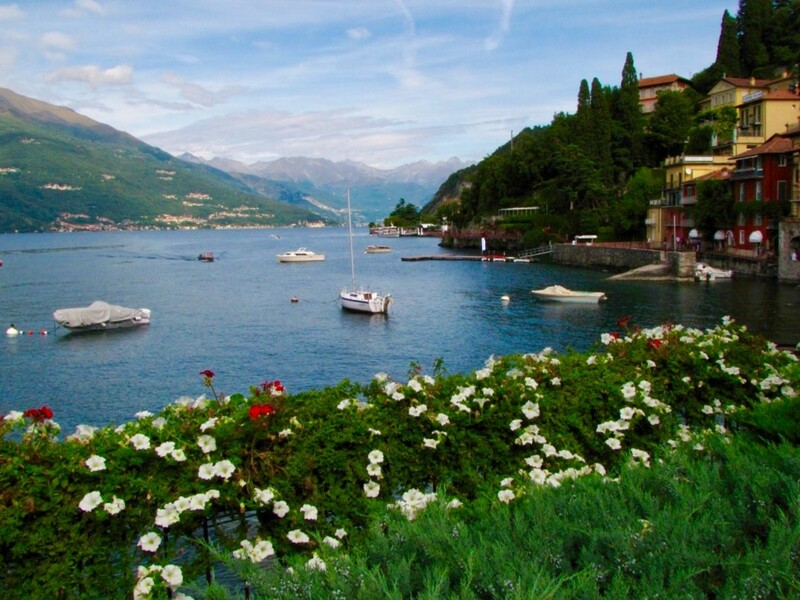 Below you will find an overview of the main wine-producing regions and the best wineries that each region has to offer. To do a wonderful wine tasting of Douro wines, go to AVEPOD in Porto. AVEPOD is the organization of independent growers. The Douro Valley is indisputably Portugal's most famous wine region, synonymous with one of the finest wines in the world - port wine, or simply "port". 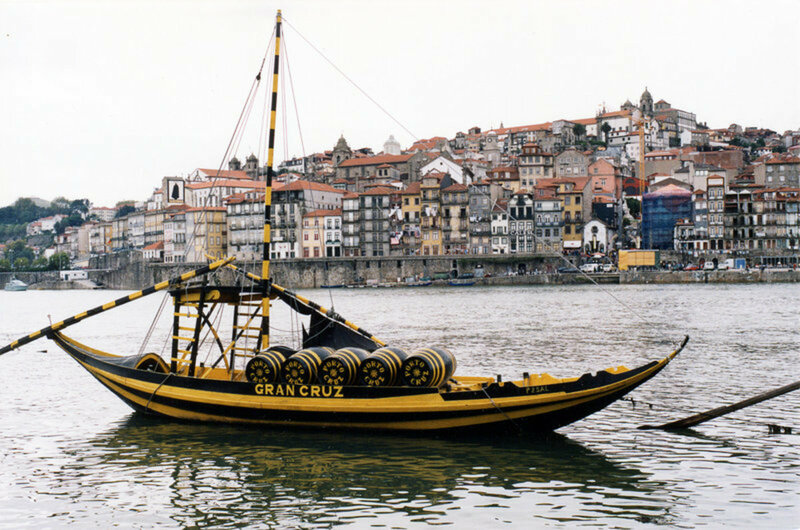 The distinctive port has wine brandy called aguardente added during the fermentation stage is grown and produced in this unique region and before 1956, used to be transported to Porto up the Douro river in colorful "rabelo" boats to be aged in traditional cave cellars in Vila de Gaia. The Douro Valley region is located just under 60 miles (100 km) from Porto and is characterized by magnificently steep slopes of schist rock along the Douro river. It's astounding how the slopes were carves centuries ago to make space for vineyards and how the wine roots make their way through the hard schist rock to reach wetter soil. To completely understand Port wine, you would need two separate trips - one to the wine estates in the Douro Valley and another to the wine cellars in Vila Nova de Gaia. In 2001 UNESCO named the Alto Douro region a World Heritage Site - after all, wine has been produced in this region for about two millenniums! Also, the Douro region is the world's first wine region to have a formal demarcation, having earned it back in 1756. 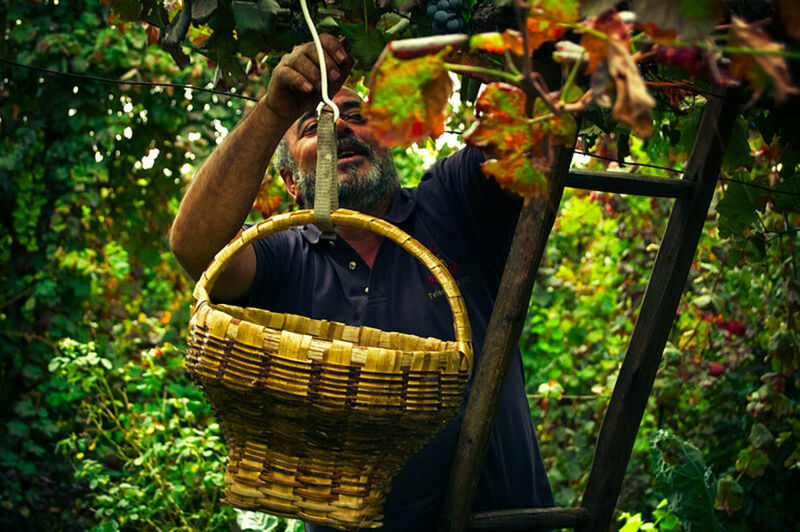 To this day, grapes are still hand harvested in this region. The region specializes in concentrated, dark reds and complex dry whites. The main grapes in this region are: Tinta Roriz, Touriga Nacional, Touriga Franca, Tinta Barroca, as well as other red port varieties; White port varieties include: Viosinho, Gouveio, Rabigato, and Códega. In recent years, centuries-old estates have been turned into fabulous accommodations for wine lovers such as the gorgeous Casa da Calçada and Aquapura Douro. Quinta de la Rosa - The Quinta de la Rosa is a small and beautiful family-owned quinta located on the banks of the Douro. They offer a great tour and wine tasting - just check ahead of time for tour times. 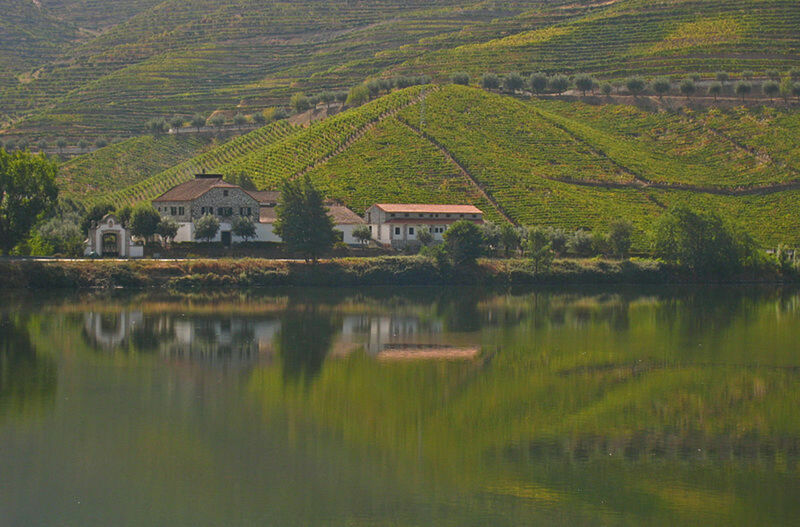 Quinta do Portal - The Quinta do Portal cellar is a must for a visit to the Douro region. They have a modern visitor center and a large wine-making facility. No appointments are necessary ahead of time as with many other cellars in Portugal. Quinta do Seixo - The Quinta do Seixo is a centuries old quinta with 99 hectares of vineyards and a modern winery. They offer a wonderful guided tour, wine tasting, and no appointments are necessary ahead of time. Quinta da Romaneira - The Quinta da Romaneirais one of the largest properties in the Douro region vineyard with over 85 hectares of grape varieties growing. Call ahead of time to make an appointment. Quinta do Côtto - Quinta do Côtto is a palace estate with 70 hectares of vineyards. Try the 2001 Paco de Teireiró, a nice white from the Minho region. Quinta do Passadouro - Quinta do Passadouro is a charming estate in the Douro Valley and is wonderful for a lot of wine tasting and a stay for at least one night. 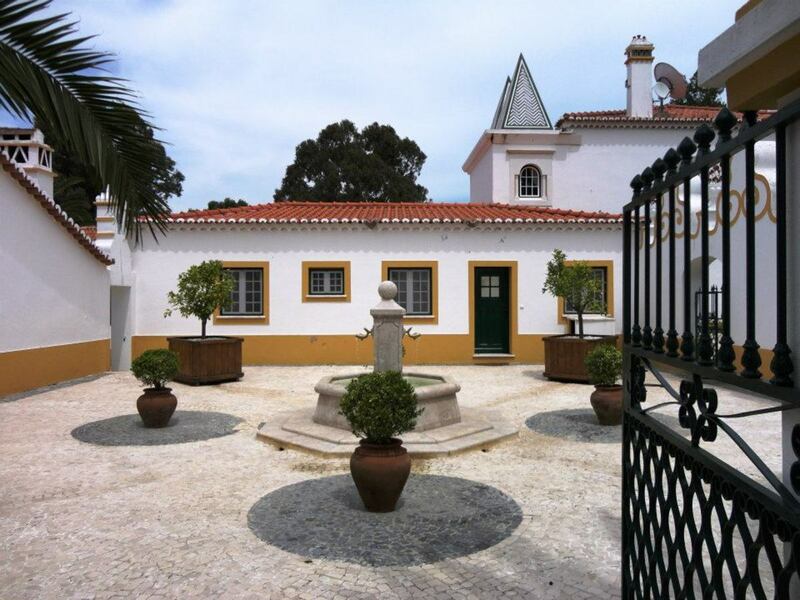 Quinta de Marrocos - Quinta de Marrocos is a very charming estate with 13 hectares of vinyards. There are guest accommodations and wonderful wine tastings. The owners speak English, French and Italian. Quinta Nova - Quinta Nova de Nossa Senhora do Carmo is a wonderful estate that specializes in wine and gourmet food. Minho Region, located in the Northwestern part of Portugal near the Atlantic Ocean, is best known for its vinho verde or "green" wine. Verde in this context refers not to the color of wine but to its unripe state, as this type of wine is meant to be drunk while it's still young and fresh. The actual color of the wine is pale yellow like any other white wine. 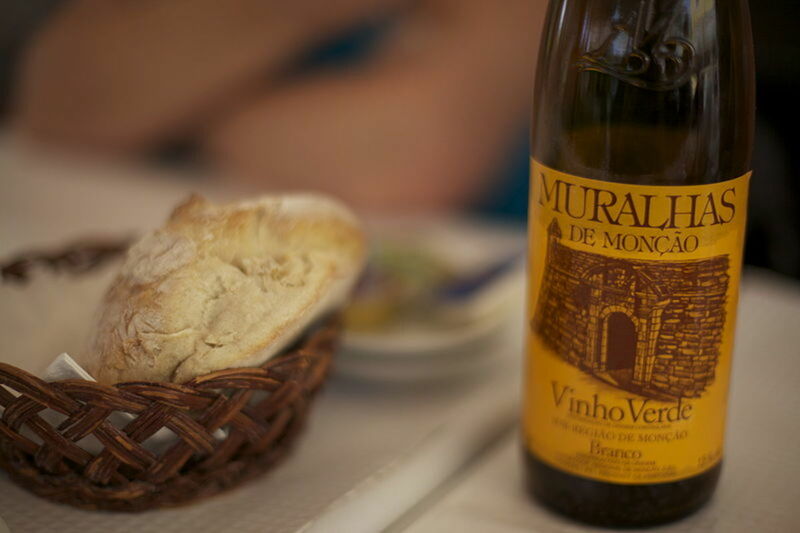 Vinho verde is renowned for its high acidity, crispness and fizz. 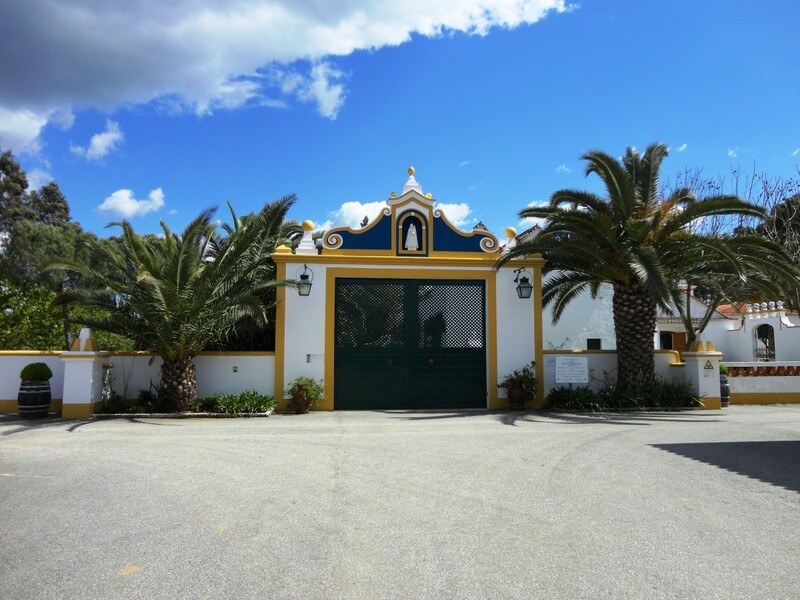 Quinta do Ameal - Quinta do Ameal is a beautiful small 18th century property that produces excellent white wines made from a grape variety called Loureiro. 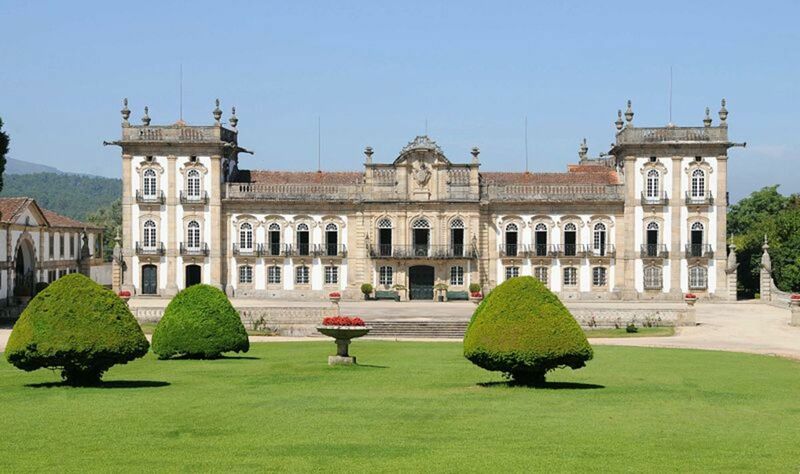 Palacio de Brejoeira - Palácio da Brejoeira is an 18th century Palace with English-style gardens and 18 hectares of Alvarinho vines. Paço de Teixeiró - The Paço de Teixeiró estate dates all the way back to the 14th century and produces white wine. Portugal's Alentejo region, located southeast of Lisbon, has in recent years become a highly regarded wine-producing region after a major revival during the 1980s. 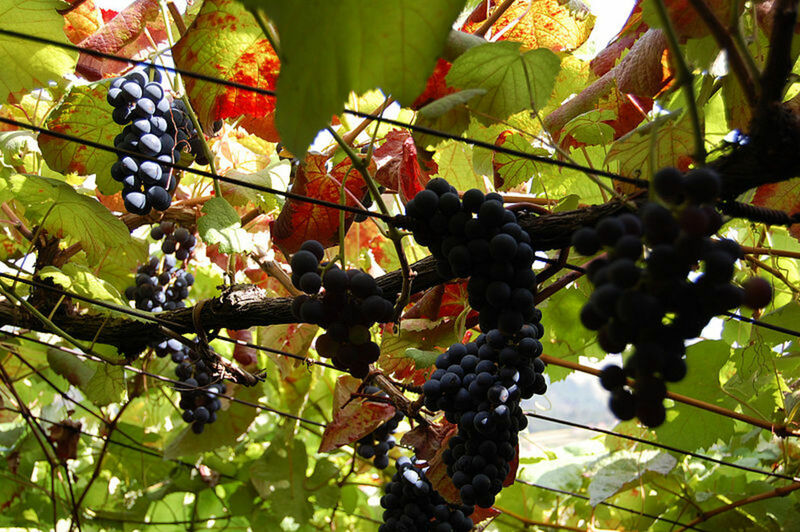 The climate of the region is very hot and dry, producing concentrated red wines that the region specializes in. The area also makes wine that's prepared in the ancient Roman way, called Vinho de Talha - a fragrant and deep wine that's stored in huge clay pots. Herdade da Calada - Herdade da Calada is a charming estate located just about 6 miles (10 km) from the ancient Roman town of Evora. The winery uses innovative technology to preserve the high quality of it's vineyard's grapes, producing unique wines with high complexity and natural flavors. Herdade do Esporão - Herdade do Esporão's wine tourism program is part of the World Wine Route and was the first to get certified in Portugal! There are many attractions on the estate and you can even do a tour on a jeep or on a Segway. Cartuxa Winery - Cartuxa Winery is a former Jesuit house built in 1775, with a wine press. 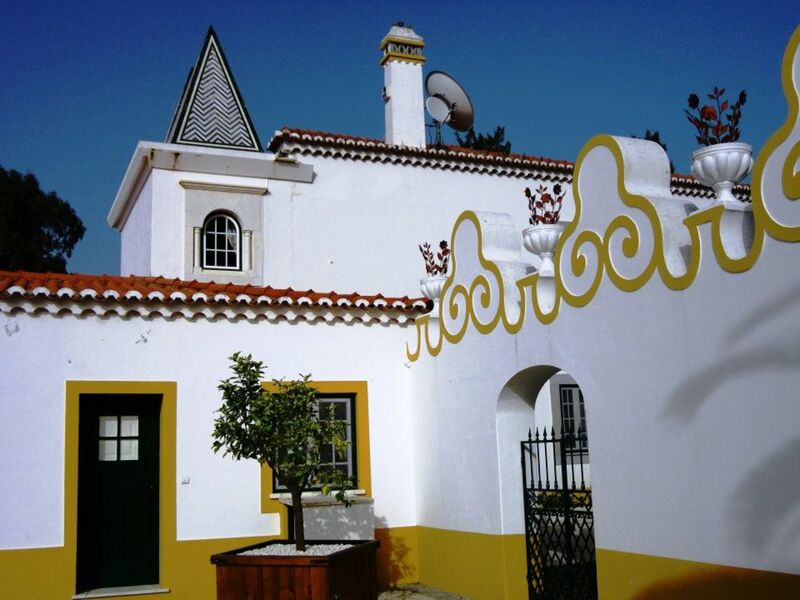 It's located just two kilometers from Evora. The wine produced at Cartuxa has a distinctive style and character. If you're looking to do a wine tasting in Lisbon, there is a wonderful establishment called Sala Ogival de Lisboa that has tastings of wines from different regions of Portugal. 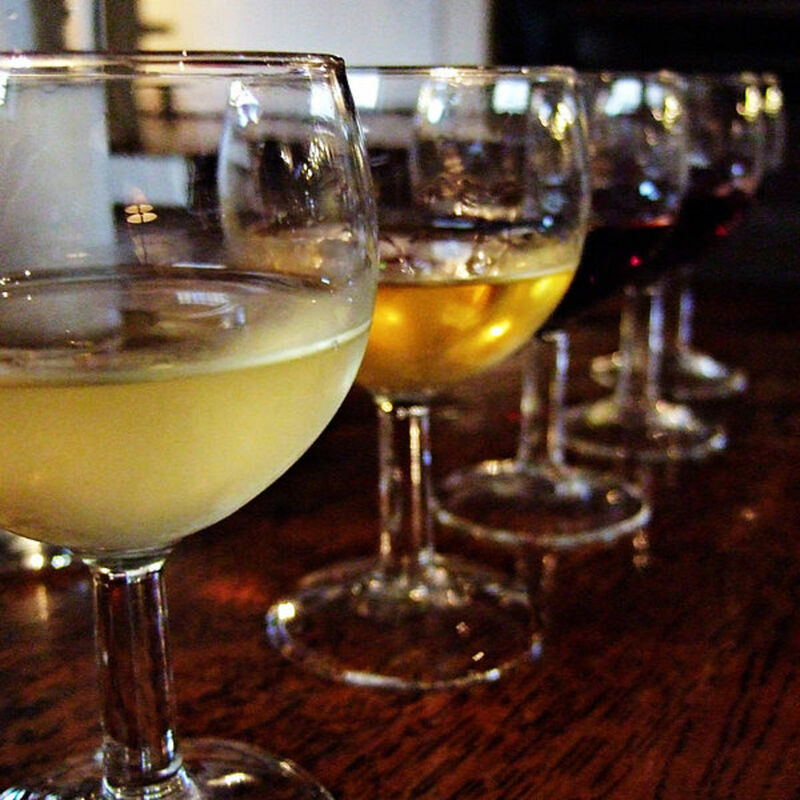 Each month, a section of wines are selected for tasting from three different regions. Sebutal is a peninsula located just across the Tagus River, south of Lisbon. The region is infamous for its Moscatel wine called Moscatel de Setubal. 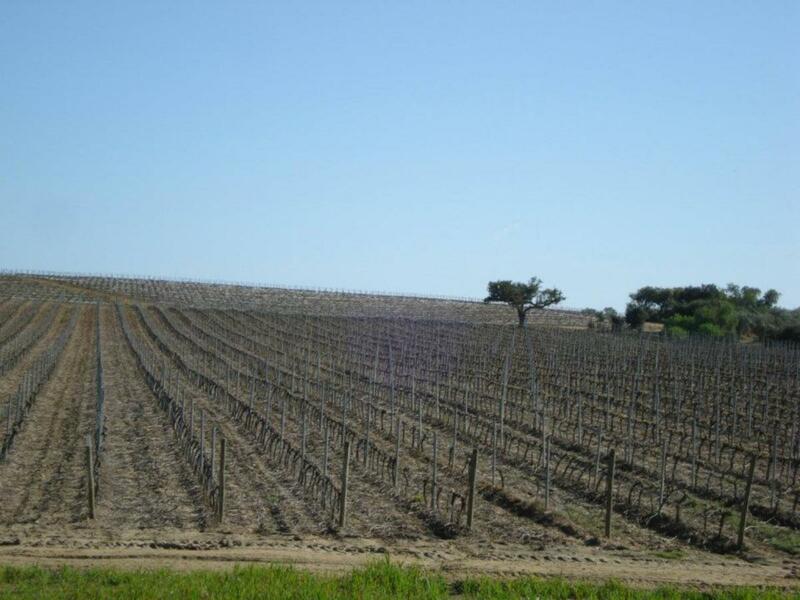 The region produces fortified sweet wines and exportable reds and dry whites. The main grapes native to this region are Castelão (red) and Moscatel (white). 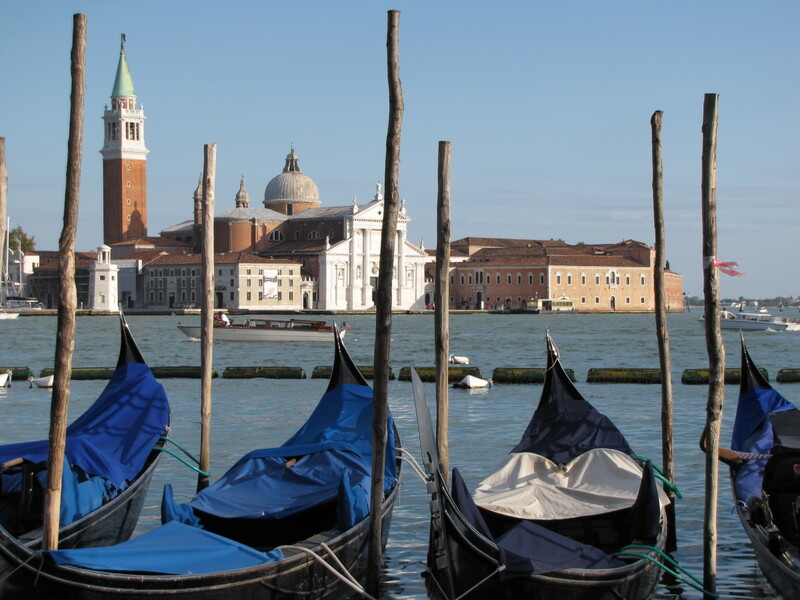 The region's wine making history dates back to Roman times. A wine tour in Setubal is an easy day trip from Lisbon. Below are two wineries worth visiting and doing some fabulous wine tasting. J.M. da Fonseca - J.M. da Fonseca is the most well-known producer and winery in Setubal. The winery has been family-owned and passed down for seven generations. Malo Tojo - Malo Tojo is an 80 hectare estate that grows red Castelão and Touriga Nacional grapes, as well as Moscatel and Fernão Pires white grapes. 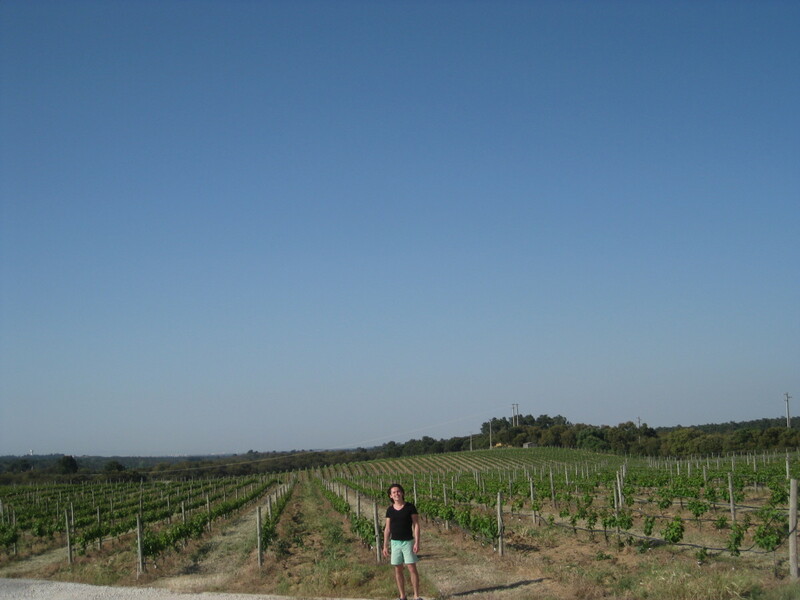 I came across this winery on my way back from Sesimbra beach when we decided to take back roads to get to Lisbon. We were pleasantly surprised that we were able to do a spur of the moment wine tasting, as well as a cheese tasting (which I loved and haven't been able to replicate since!). The two wineries mentioned above are really close to each other. Verde: Green (not referring to the color but meaning "young"
10 Products Made in Portugal You Should Check Out! So glad my article helped! Wishing you much success in your endeavors with Portuguese wineries. 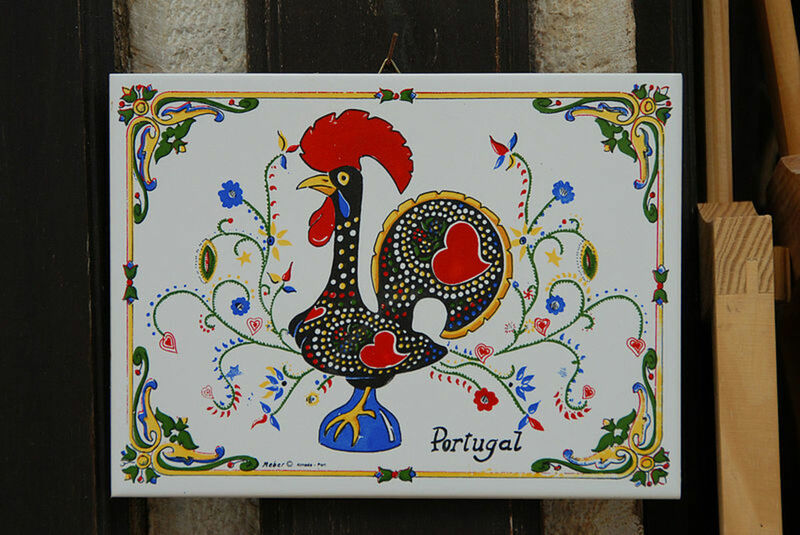 This blog is right on target... We just returned from Portugal for our first time. We literally lost ourselves in the Douro Valley region for a day. It was spectacular! Stopping in a small town for lunch, we discovered a culture that is friendly, helpful, and cheerful. No language barriers here. The lunch was fantastic and the wine was excellent. We're going back! What an amazing hub on the Douro Valley and the wineries. You have given so much information. Really a well done hub. I added a hub on the Douro Valley recently but with much less info. Would love to visit Portugal's wineries and their beautiful countryside. This is a wonderful list. I am heading to Portugal next week and we will certainly introduce some of these to our tour. This is great! I'm going to Portugal this spring. 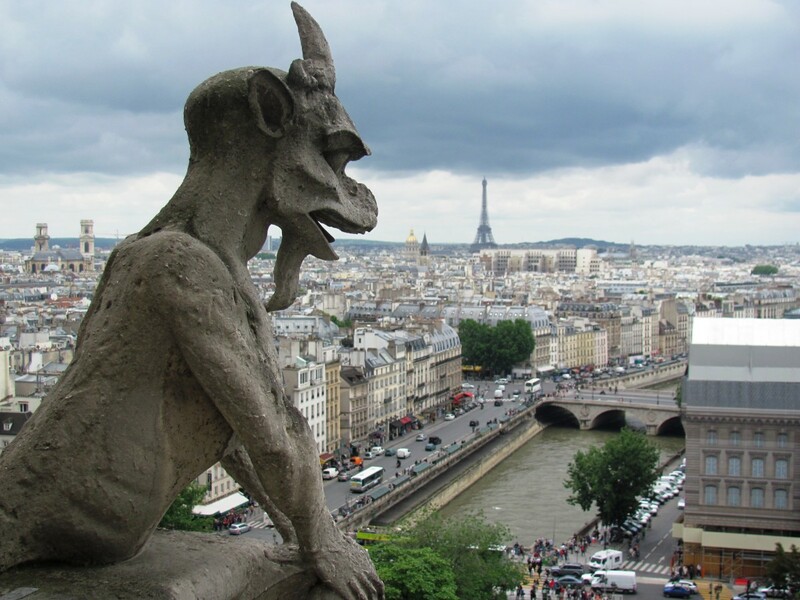 Can't wait to visit as many of these places as possible. The Wine route will definitely be part of our trip this Christmas. I can see that they are easy drives in places we will be in. A very informative good hub. Your interest to travel long and take pains to collect information, is highly appreciated. We are also familiar with wineries in Napa and Sonoma and we have gone to others in various states of the U.S. and my husband has been to some in Italy...but none in Portugal. If we ever go to Portugal we will definitely come back and read this hub as to your suggestions of places to visit and even stay. Good informative hub! Up, useful and interesting votes and will share. Robin, you must know your wines! In that case, you'll be pleasantly happy with the wineries you'll find in Portugal. I had my first wine tastings in Sonoma and Napa a couple of years ago and since then have really enjoyed wine tasting in other less known regions. I grew up in an area of California that has a lot of wineries and grapes, the movie Sideways was filmed there, and love to go wine tasting. I have never been to Portugal, but when we go, we will definitely have to go to a few of the wineries and revisit this Hub! 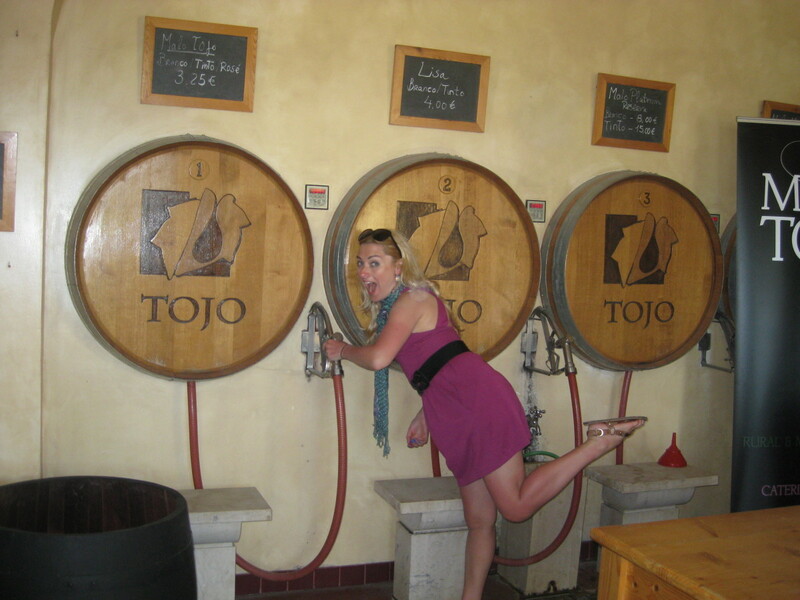 Organicpixie: I hope you'll get to go to a winery - they are really fun and you learn a lot. I did a guided tour in Napa and Sonoma in California the first time I ever went to a winery, which was great but since, I've enjoyed just visiting wineries on my own time. They're really nice in Portugal, not as touristy but very charming and the surroundings are stunning. ShepherdLover: Thanks for stopping by and I'm really glad you enjoyed reading my Portuguese wineries hub! Wow, great hub with a lot of good info! I enjoyed reading it, thank you for the recommendations!